Women’s Law Association of Ontario has a rich history in the legal profession with a strong tradition of speaking out for women lawyers. WLAO will be celebrating 100 years as an association in 2019 and a summary of our history is below. The main WLAO Archives are resting with the Law Society of Ontario. 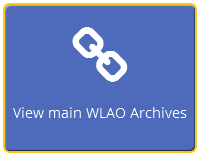 There is a virtual presentation of some of WLAO’s archives available at the link shown here. By 1919, 22 years after Clara Brett Martin broke the gender barrier for all women in the British common law world, a mere 11 Ontario women had followed in her footsteps. A jurist who years earlier had sought a re-take of the vote admitting women to the Law Society of Ontario, wrote: “The admission of women is regarded with complete indifference by all but those immediately concerned”. Within a year, across the threshold of the LSUC’s Osgoode Hall, Ontario’s sole law school, more than 20 young women were studying law. Laura Denton Duff and Helen Currie, who would become the 20th and 32nd woman lawyers called to the Bar in Ontario in 1920-21 gathered together a handful of young women lawyers and law students in the offices of Frank Denton, K.C., Laura’s father. They planned an annual meeting to welcome new women students-at-law. Every woman ever admitted to membership in the LSUC, at most 35 lawyers and law students, was invited to this, the inaugural meeting of the Women’s Law Association of Ontario (“WLAO”). Clara Brett Martin was the keynote speaker. Valued principles forged by the early members set foundations that proved to be enduring. “To encourage the interchange of ideas and co-operation between women with legal training”, described the WLAO purpose. Until educational seminars became commonplace in the 1970’s, monthly meetings provided the sole source of continuing legal education for many women lawyers. WLAO continues today as one of the oldest surviving independent legal associations in Ontario and the first Canadian women’s legal association. The 1920’s – Founding member Mary Buckley Laughton understood the importance of interchange between women in law at a time when most members worked as sole practitioners, or as the sole woman in law classes or professional in a law office, and called themselves the “one to three percenters”. She authored the first journal article by a Canadian woman lawyer. “Women in Law”, (MacLean’s 1920), disclosed practical challenges to entering the profession, and supported progressive leadership amongst ingénue and mature women in the legal profession. Recognition of merit was axiomatic to the founders. They believed that if the law maintained this integrity, their turn would come. This was their inventive response to weave a way through a world not of their making. A scholarship set up to honour Clara Brett Martin after her death in 1923, awarded high marks achieved by a graduate of the Bar Admission Course. Thus the award was not given to Vera Parsons, the first woman silver medallist, but to a deserving male. The 1930’s – In 1933 the first three women lawyers ever hired by the Ontario government were singled out and laid off on the faulty basis that their salaries were not important in their families. WLAO leapt to their protection. The earliest records of women returning to work after childbearing years are documented in WLAO Archives. Seminar topics at monthly and public interest meetings reflected combined legal and broader issues. Members Margery Blatz and Elizabeth Newton gave an address on adoption law to the Local Council of Women, (LCW) subtitled, “Lawyer minus knowledge of sociology seen as hazard”. The 1940’s – When male lawyers were called to serve in WWII, the LSUC asked women lawyers to temporarily work the offices of soldiering lawyers. For the first time, women lawyers were welcomed into many large firms. WLAO opposed a move by the provincial government to lower the pay of women, not men, lawyers. The Canadian Bar Association accepted the WLAO President as an ex-officio to the Governing Council, and elected the first woman, WLAO President Eileen Mitchell, as member-at-large. To help give social direction in the post-war years, WLAO and LCW put on what may have been the first large-scale public lecture series on law in Ontario. For two years, members led sessions on legal and public interest topics: labour, criminal, divorce, estates, real estate, landlord and tenant law, homelessness, prison reform, insurance, and women in jury duty, with upwards of 500 attendees. The 1950’s – President Lily Sherizen authored a celebrated report recommending the creation of the first separate humane facility for the detention of juvenile offenders and took the lead to recommend enforcement of family support orders in out-of-province jurisdictions, all pro bono. Showing great versatility, WLAO organized the “Obiter Facta” Hobby Show in the fun-loving, family-oriented 50’s. The 1960’s – At the dawn of the 1960’s Mabel Van Camp, after six years as President of WLAO, became Canada’s first woman High Court Judge. Justice Van Camp gave the largest thanks to the YWCA and to the Girl Guides of Canada for their successful campaign to promote a woman to the judiciary. The 1970’s – An endowment from member Judge Helen Kinnear expanded the WLAO-run scholarships. While Colleen Purvis Washington successfully advocated for women barristers’ private robbing rooms, ending decades of changing behind curtained areas in halls or behind temporary signs on men’s rooms, many young women entered the profession bringing demands for reform within and outside of the Association. Larger legal associations and the LSUC itself began to offer continuing legal education seminars in specialized fields. The 1980’s – During the 1980’s, WLAO continued to support and celebrate the advancement of women lawyers, but sharpened its focus toward legal, professional and political issues for women. To add research for the LSUC’s study of women lawyers, Transitions, and Madam Justice Bertha Wilson’s Touchstones for Change: Equality, Diversity and Accountability, WLAO sponsored submissions, seminars and workshops on issues of employment equity, sexual harassment, parental leave policies, child care choices, partnership pursuits and breaking through barriers to advancement. President Sandra Chapnik began formal recognition of women lawyers’ leadership. Early WLAO presidents, called to the Bar during the 50 years before 1986, were feted. Since 1987, the annual President’s Award honours women lawyers who have made significant achievements to the advancement of women in the legal profession. The 1990’s – WLAO in London and Ottawa formed and also honoured local women lawyer leaders. In response to demands from the LSUC electorate, WLAO co-ordinated 9 legal associations in 1995, and 15 in 1999 to conduct the first and second All-Candidates Town Hall forums for bencher elections. Members Barb Hendrickson and Abby Bushby carried the gender equality reform movement forward to lead the Joint Action Committee on Gender Equality, comprised of 12 legal associations, with work on the LSUC’s Bicentennial Report on Equity Issues in the Legal Profession. The Committee reformed as the Joint Action Committee on Equity and Diversity to co-ordinate the interests of ‘equity-seeking’ lawyer associations representing women, visible minorities, aboriginal, gay, lesbian and transgendered lawyers. Members celebrated the establishment of the LSUC’s Equity Initiatives Department, and many moved their volunteer activities to support its work. The 2000’s – Reflecting members’ wider interests, WLAO began to feature many inter-organizational programs such as with the Hong Kong Economic and Trade Office, the LSUC, the Canadian Association of Women Executives and Entrepreneurs, and the Canadian Association of Black Lawyers. New scholarships, where community contributions and equality advocacy matter, were jointly established with McCarthy Tétrault and Aird Berlis, LLP’s. Member Sharon Davis championed the first Ontario woman to woman lawyers’ mentoring program thus bringing contemporary direction to the oldest and most enduring of WLAO purposes.